Squirrel Removal and Bat Removal in Providence RI. 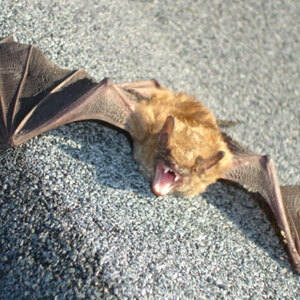 - BatGuys Animal Removal Service, Licensed by the Rhode Island DEM. Call 401-455-0144 for animal removal service in the Greater Providence area or scroll down for local wildlife information in this area. 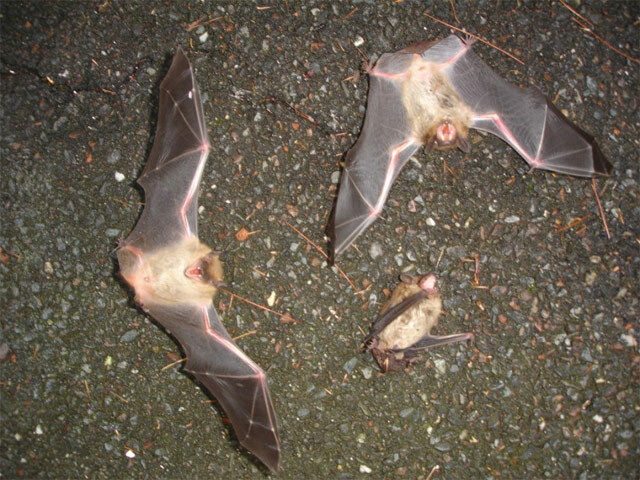 BatGuys is a professional Wildlife Removal company in Rhode Island. We specialize in the removal and Exclusion of Bats, Squirrels, Skunks and Raccoons. The rapid development of land in RI has forced the native animals to adapt to life in the suburbs. This amounts to skunks under sheds and porches, squirrel in soffits and attic, bats in chimney and attics and raccoons in chimneys, roofs, attics etc. When problems like this arise you can count on us to remove the animals, clean up the mess and secure the house/building to prevent it from happening again. The Providence area has A healthy population of Large Brown Bats. In heavily developed areas of the city we find small colonies of these bats residing in attics. These bats are more transient than bats in rural areas. With the large number of old houses in Providence these bats have dozens of places to live in a very small area. They will reside in one attic one day then jump to the neighbors house the following day and so on. These Providence bats are year-round residents that hibernate in the large older homes throughout the city. During the winter we frequently get calls for bats in these large, old homes. BatGuys is the leading bat control company in Rhode Island. If you're in need of bat removal in RI you've come to the right place. Learn more about our Bat Control Services in this area. Gray squirrels thrive even in the most urban parts of the city. The Gray squirrels in Providence eat out of dumpsters, break into unsecured trash barrels and also eat wild nuts and berries. The area around Brown University has a very healthy squirrel population as does East Providence and the East Side. 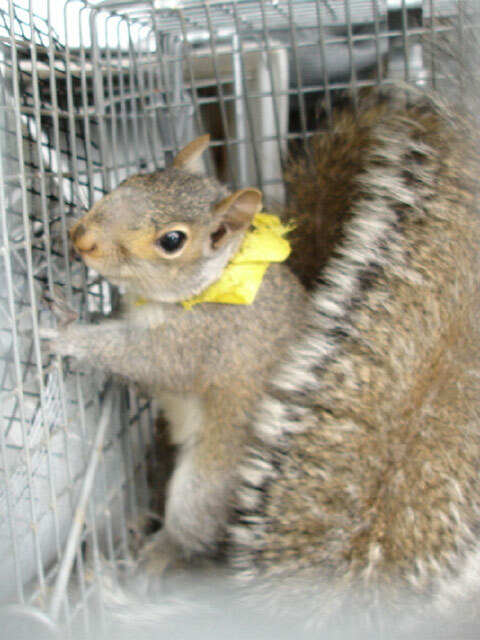 BatGuys provides squirrel removal in RI all of the cities and towns in Rhode Island. 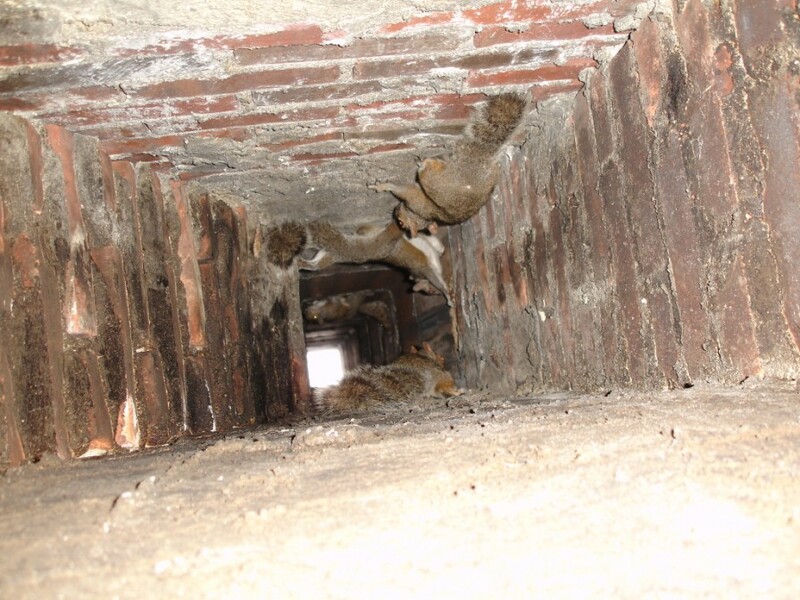 One of my all-time favorite squirrel calls involved 4 squirrels that fell down a chimney in RI. 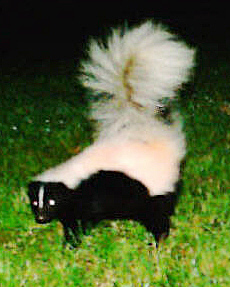 Downtown Providence is home to a large number of skunks. These skunks go on the prowl after dark. It's when they burrow under decks, sheds and even houses that they become a nuisance and need to be evicted. If a skunk sprays its powerful musk close to your home the awful smell will rise into the house and create a smelly situation. BatGuys provides expert skunk removal in RI and the surrounding towns. BatGuys provides skunk-proofing and skunk removal throughout the Ocean State. Visit our odor removal page for more information on skunk odor removal. We find very few Raccoons in Providence. I'm not quite sure why but we only seem to get 5 or 6 calls each year for Raccoons in Providence. There are plentiful food sources and adequate habitat yet these animals don't seem to be found in great numbers like we see in other parts of RI. However, if you do encounter raccoons in your attic or chimney you can count on us to provide professional raccoon removal in RI and its suburbs. BatGuys provides professional mice removal services in the greater Providence area. We specialize in mouse-proofing houses and building and we do not use poison. Visit this page for more information on Rhode Island mouse removal. 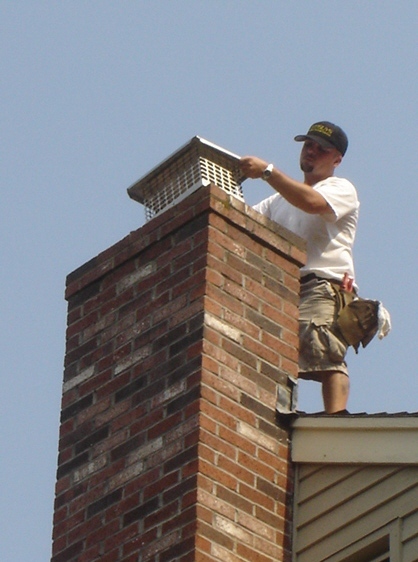 BatGuys sells and installs the finest stainless-steel chimney caps on the market. Contact us for more information. BatGuys Services the following cities and towns in Rhode Island: Barrington, Bristol, Central Falls, Coventry, Cranston, East Greenwich, East Providence, Johnston, Pawtucket, Providence, Warren, Warwick, Tiverton, Little Compton, West Greenwich, Burrillville, Chepachet, Cumberland, Foster, Gloucester, Lincoln, North Smithfield, Pascoag, Scituate, Smithfield, and Woonsocket. To learn more about BatGuys and the work we are currently doing in the field you can visit our Wildlife Update Page. Please note that we do not handle dog and cat issues. For all dog and cat issues call Providence Animal Control at 401-243-6040. If you prefer, we can be contacted by email at Info@BatGuys.com or call 401-455-0144 to reach us in Providence.